These projects I co-founded with like-minded musicians and friends. What started out as ideas in the pub, germinated into some award-winning organisations. In the heart of Amsterdam you'll find Splendor: a club for every kind of music, conceived and founded by 49 musicians and myself and our supporters. 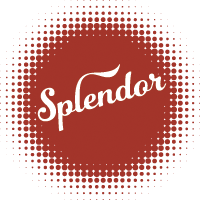 Splendor is a meeting place, a club, a workspace, a musical laboratory, and much, much more. We won the Amsterdam Prize for the Arts in 2015, when we were just 2 years old. In late 2011, five colleague musicians from the Dutch Radio and I took it upon ourselves to defy prevailing trends and initiate a new musical collective. A collective that would distinguish itself through flexibility, not only with respect to its artistic content, but also from a practical point of view: the size of the collective can vary from soloists to a symphonic orchestra. A collective that would not only deliver quality performances driven by an intrinsic need to perform the finest music with the greatest musicians in the best way possible, but also add an enterprising mind and a broad social outlook. The group was born, and goes by the name of LUDWIG, after Beethoven, cultural entrepreneur avant la lettre. In January 2018 we were awarded a Grammy Award for our recording Crazy Girl Crazy with the Canadian soprano/conductor Barbara Hannigan. Up to 2014 nothing ever happened culturally on St. Patrick's Day in Amsterdam(Irish national holiday, March 17th), and so my Amsterdam-based Irish friend Deirdre Daly and I decided to change this and created a mini-festival focussing on Irish culture. 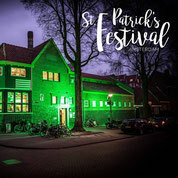 It has grown from strength to strength over the past few years with artistic collaboration between Dutch-based and Irish artists being an important element of the festival.